MYNEDIAD AM DDIM – WHO THEY? It’s pronounced MUN (as in MONDAY) – ED –YAD AM THIM (as in THIS and THEM). This popular folk/pop band has been entertaining audiences throughout Wales and further afield for over 30 years. 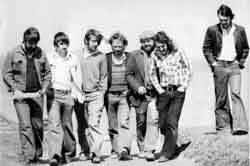 The saga began in 1974 when six students at the University of Wales, Aberystwyth got together for a bit of a laugh and, more importantly, to compete at that year’s inter-college Eisteddfod at Bangor. They won there and decided to carry on. 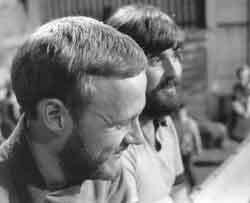 All six had a musical background – Emyr Wyn and Robin Evans (vocals) were both experienced competitors in Eisteddfodau (and Emyr had already recorded an E.P. at a very early age…..), Graham Pritchard (fiddle, mandolin & piano) and Dewi Jones alias Dewi French Horn (you guessed it – French horn) were former members of the Welsh National Youth Orchestra and Mei Jones (vocals) and Iwan Roberts (guitar & mandolin) had already formed a group at Aberystwyth – Coes Glec (Gammy Leg) – and had started writing songs. 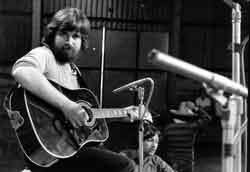 The mid-70s were heady times for the Welsh-language pop, folk and rock fields, which had only really developed over the previous decade – with a host of young bands- mainly acoustic – being formed, singing a blend of traditional and original material. 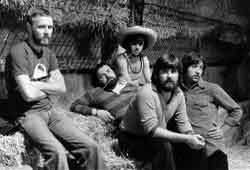 The band began writing its own material – in any possible combination of two or three and with others, but it would be a new member who would give the band its direction. Emyr Huws Jones or “Ems” arrived in Aberystwyth following a period in college in Bangor. 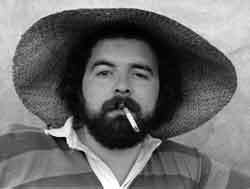 He was somewhat of a veteran in singing circles, being a former-member of Y Tebot Piws (The Purple Teapot) and, more importantly for Mynediad, an experienced songwriter. His arrival was very timely, and he became the seventh member of the band (in spite of his reluctance to play live). Soon after, Mynediad am Ddim made its recording debut on the various-artists fund-raiser Lleisiau with the song “Padi”, the first of Ems’ songs about his native Anglesey. The band was making a name for itself as a live attraction and it was only a matter of time before the offer came to record an album, courtesy of Sain Records. Mynediad am Ddim (also known as Wa McSbredar after one of the songs) was a mix of those early writing combinations, four by Ems and a handful of traditional material. 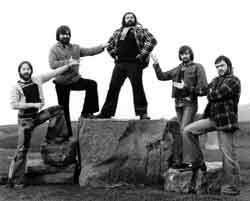 The album was a great success and a follow-up was required; an attempt at a live album stalled (only one of the tracks made it to the next record), so it was back to the studio for Mae’r Grwp yn Talu (The Group’s Paying). By this time, there had been a few personnel changes: Dewi left soon after the first album and was replaced by another former-member of Y Tebot Piws -and the band Ac Eraill (And Others) –Alun “Sbardun” Huws on guitar.The new album presented the blueprint for the future – with the exception of two songs, all the tracks were either credited to Ems or “traditional”. 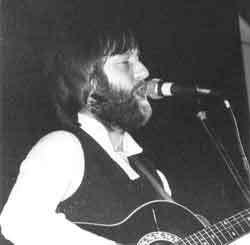 1976 saw the group travel to Ireland and also Ems’ retirement from live performances, although he continued to contribute songs. 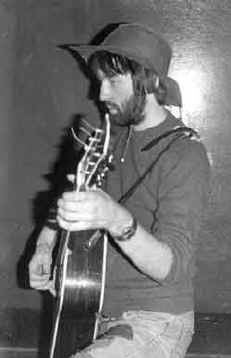 He was replaced by Peter Watcyn Jones on guitar and mandolin, a former member of the folk-rock band Josgin. A third album, following the same formula, Rhwng Saith Stol (Between Seven Stools) appeared in1977 but by the time of its release, two other members, Mei and Sbardun, had left. That summer, Mynediad accompanied the Godfather of Welsh-language popular music, Dafydd Iwan, on a successful tour of Brittany, where the repertoire was geared towards a new audience with greater emphasis on traditional music, especially songs done acapella. 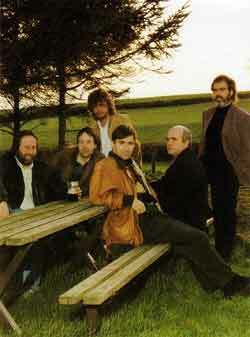 The line-up changes and the experiences in Ireland and Brittany led to a change of style and the now five-piece band (Emyr, Robin, Iwan, Graham and Pete) decided that the next album would consist of exclusively traditional music. The result was Torth o Fara (Loaf of Bread) - 17 songs, with an equal emphasis on instrumental and vocal work, with the sleeve design and multilingual notes all declaring a new direction. As part of the promotion for the album, the band visited Brittany for a second time and seriously discussed the idea of turning professional – for a variety of reasons it remained an unrealised idea. At the end of 1978, Pete, the only member still a student, moved to France for a period as part of his studies and a substitute was drafted in. 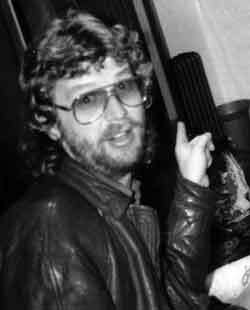 Geraint Davies (guitar/vocals) was a former member of the country/rock band Hergest which had just come to the end of the road and had already stepped in on occasion when Mynediad needed a stand-in. In 1979, the band made their infamous one-day trip to Brittany, courtesy of a Breton festival in Guipavas near Brest who were so keen to have Mynediad perform that they financed a private airplane from Cardiff so that the band could make the gig and get back to Wales within 24 hours. During this period, the first of two cassettes for Mudiad Ysgolion Meithrin (Welsh Nursery Schools Group) was recorded. Hwyl wrth ganu (It’s Fun to Sing) was a collection of nursery rhymes and other children’s songs. A second volume Hwyl yr Wyl (Holiday Fun), this time with a Christmas theme, followed in 1986. The following few years lacked a little in focus and direction – Pete returned from France, but somehow Geraint the Sub stayed on – nobody seemed to mind. 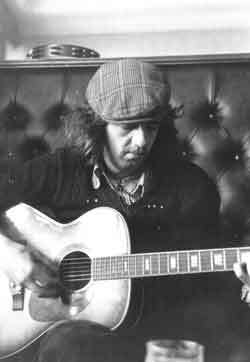 Graham split his time between Mynediad am Ddim and Ar Log, another Welsh-language folk band who had gone full-time.The only recordings were a handful of traditional/standard songs for a middle-of-the-road compilation called Dewch i Ganu (Come and Sing). Other members filled their time by doubling up with other groups, Geraint with his short-lived soft-rock band Y Newyddion (The News) and Iwan with the folk bands Cilmeri and Pedwar yn y Bar (Four in the Bar). Iwan slowly drifted away to concentrate on the latter – he wouldn’t appear with Mynediad again until 1999 in a tribute evening to Ems, who by that time had grown into one of Wales’ foremost songwriters. To replace Iwan, Rhys Dyrfal Ifans was drafted in to bring a new dimension on bass (guitar and vocals). 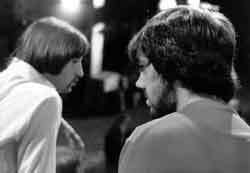 An experienced musician, Rhys had played with Pete in Josgin, Geraint in Hergest and enjoyed further success with the funk/disco band, Bando. Around the same time, Graham ended his full-time stint with Ar Log – and a new, more settled, period began. The six members in 1982 – Emyr, Robin, Graham, Pete, Geraint and Rhys – have kept the Mynediad am Ddim flag flying for over twenty years, mainly through live work , travelling the length and breadth of Wales. In recent times, Delwyn Sion, another refugee from Hergest and a solo artist in his own right, has become an occasional member; he and Geraint have both contributed new songs to the band. In 1992, to celebrate the band’s 18th birthday, and the fact that the National Eisteddfod was being held in Aberystwyth, where it all started, a compilation of the band’s most popular songs, some re-recorded, and a few new songs was released on the CD Mynediad am Ddim 1974-1992 alongside a scrapbook Digon Hen i Yfed (Old Enough to Drink) tracing the band’s history. A year later a live performance recorded in Caernarfon, Dyma Mynediad am Ddim (Here’s Mynediad am Ddim) was released on video. 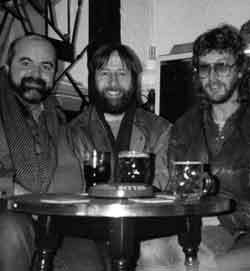 In the 80s and 90s, the growth of Welsh-language folk festivals gave Mynediad a bigger platform: among the highlights are a total of five appearances at the Cnapan Festival in West Wales, sharing the stage with such giants as Davy Spillane and the Dubliners. In 2003, the band played in front of 8,000 fans at Bryn Terfel’s Faenol Festival in North Wales. 2004 marked Mynediad am Ddim’s thirtieth birthday with T-shirts, baseball caps and this website to commemorate the event – and it isn’t over yet. Watch this space (literally).